Well-being leaders descended on Palm Beach for the Eleventh Annual Global Wellness Summit (GWS) in October. This year’s event was held at an iconic 121-year-old landmark, The Breakers. GWS is an international gathering that brings together leaders and visionaries for the purpose of creating and enhancing a positive impact on wellness as well as shaping the future of the global wellness industry. Team collaboration thrives within the daily programs. Trust is a constant at the Summit. Held on October 9-11, this year’s invite-only event featured over 600 delegates representing 43 countries. The Breakers proved the perfect host to this year’s event, which included panel-led discussions, general sessions, small group breakout sessions, and dining conversations. Sponsored by the Global Wellness Institute (GWI), a non-profit 501(c) (3), the leading global research and educational resource for the global wellness industry, the Summit drew attendees and presenters from science, medicine, well-being, research, and other sectors. GWI introduces major industry initiatives and regional events that bring together leaders as they chart the future of wellness. With a mission to empower organizations worldwide by educating public and private sectors about preventative health and wellness, GWI empowers wellness organizations by facilitating collaboration, providing global research and insights, triggering innovation, and advocating for growth and sustainability. “Living a Well Life”, the 2017 theme, took on an enhanced meaning for the Summit. The three-day event featured an unprecedented lineup of over 50 speakers. Presenters included Louie Schwartzberg, Dr. Andrew Weil, Dr. Michael Roizen, Dr. Mehmet Oz, Dr. Dean Ornish, former United States Surgeon General Dr. Richard Carmona, and Elissa Epel, PhD. First day sessions opened with the brilliance of Louie Schwartzberg, founder of Moving Art. Overhead screens offered a stunning display of the movement of flowers at high-speed resolution film. Schwartzberg linked nature as a truism for problem-solving for individual and team performance. In addition to this nature provides a link to a reduction in stress related to death and disease. A connection to nature provides for faster hospital recovery time, decreases blood pressure and heart rate, lowers the level of stress hormone, and improves short term-memory. Richard Carmona, MD, 17th Surgeon General of The United States, noted that the United States spends 19% of the gross domestic product on health in his program “The Imperative for a Well life: 75 Percent of the Cost of Chronic Illness is Preventable”. In addition- more than 75 cents in every dollar is spent on preventable diseases that are all caused by lifestyle choices. Chris Jordan, Director of Exercise Physiology for Johnson & Johnson Human Performance Institute hit full stride with “We Don’t Need More Time…We Need More Energy!”. Jordan supports managing energy and not just time, which is best done by focusing and being in the moment. He also explained the four dimensions of energy – physical, mental, emotional and spiritual as well as how energy expenditure needs to be backed up with energy recovery. Mohommad Gawdat, Chief Business Officer for Google (X), presented “Solve for Happy—Engineering Happiness”. Google is known as a well-being leader and Gawdat presented the case for happiness in all aspects of work and life. With a culture of caring, The Breakers operates from a familial standpoint and spirit. Denise Bober, VP Human Resources at the Breakers, Garrett Kirk Jr, Board Executive Committee Member, and Paul Leone, CEO, shared the stage with “Health & Well-Being: The Breakers Story”. The program at The Breakers is one of the best well-being programs in the world, and Bober and team presented the business case for Well-Being, Breakers-style. Bober started the Workplace Wellness Program project 12 years ago, and credited its success from the get-go to her executive team. Leone closed out the program by sharing measured balanced scorecard results. Since the inception of the well-being program, The Breakers has experienced increased team satisfaction, which in turn has generated an increase in customer satisfaction and growth. In his presentation “The Plague of the Modern Era is Insanity”, Mehmet Oz, MD, explained that in the 19th century the major plague in the world was infection. Once we entered the 20th century it moved to chronic conditions like heart disease. Now in the 21st century it is the inability of people to be happy. Oz further discussed programs treating addiction, with the world of addiction treatment now a highly profitable business. Andrew Weil, MD, challenged attendees to make well-being “fashionable” in “How to Really Help People Make Healthy Lifestyle Choices”. While advocating removing fast food restaurants and vending machines from health facilities and changing government food policy, Weil also encouraged people to spend time with those who have the good habits they admire and want for themselves. Moods are contagious. Weil showed the value in hanging out with happy and positive people to move forward in life. Dr. Michael Roizen, Chief Wellness Officer of the Cleveland Clinic, presented “Living to 160”. Chronic disease management is responsible for 84% of all medical costs and 67% of those costs are in under 65-year-olds, noted Roizen. The major culprits are tobacco, poor food choices and overeating, physical inactivity, and unmanaged stress. Spending on Alzheimer’s Disease is predicted to go from $184 Billion in 2010 to $1,167 Billion in 2050. Healthcare in modern economies is becoming more expensive as we are treating chronic lifestyle diseases instead of implementing programs that prevent or reverse them. Mary Anne and Thierry Malleret presented “10 Good Reasons to Go for a Walk and Other Wellness Ideas” as they championed daily walking as part of overall well-being. Walking is the path to creativity in the Silicon Valley workplace – witness Steve Jobs and Mark Zuckerberg. This fitness form has strong implications for corporate leaders and teams. Elissa Epel, PhD, discussed telomeres, the ends of DNA strands, which resemble plastic tips at the end of your shoelaces. The longer the telomeres, the more likely a person will enjoy longevity. Telomeres shorten as humans age. DNA and experience of life, known as epigenetics, have a significant impact on the length of telomeres. The co-author of the ground-breaking book, The Telomere Effect, Epel discussed adversity versus nurturance. Fear versus love. She also offered insight into creating happiness and purpose with those around us. Telomere health increases with the practice of meditation, and studies show that mind body activities actually boost telomere enzyme activity. A global crisis is affecting the world both physically and mentally. Stark reality is that roughly 70% of all deaths each year are a result of preventable diseases (CDC), while the global cost of largely preventable chronic disease could reach $47 trillion by 2030, according to the World Economic Forum. Clearly the GWI has been watching these numbers. On the opening day of the 2017 GWS a major initiative was launched. Health and wellness leaders united behind the first global commitment to achieve a world free of preventable disease, a Wellness Moonshot that is arguably as urgent as it is massive in scope. Wellness Moonshot was delivered to an enthusiastic overflow crowd at the Eleventh Summit. GWI’s initial focus will be on information campaigns to bring global attention to the Wellness Moonshot: from which prevention initiatives are most needed, and where – to educating the world about high-impact global projects that are tackling preventable disease, and to drive new interest and resources to them. 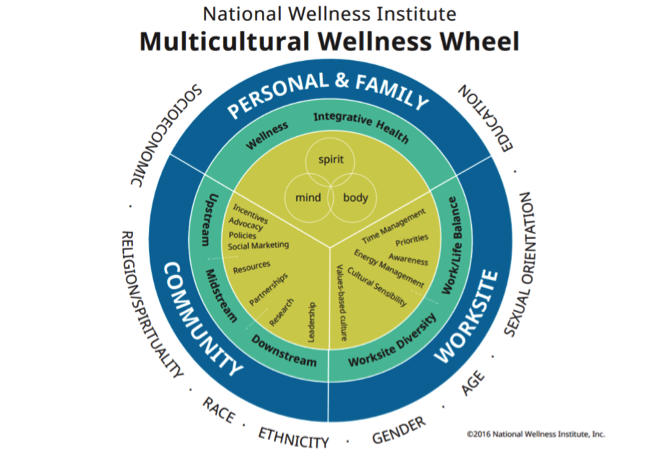 In addition, Ellis noted that GWI will catalyze stakeholders from both the private and public sectors to coordinate, collaborate, and commit to the Wellness Moonshot. Ellis further added, “As each wellness and integrative medical leader came to the stage to offer support and ‘best ways forward’ to achieve the Moonshot, I felt profound excitement and hope. Every one of them has already contributed mightily to a world free of preventable disease – and their work has, for years, been moving the needle. Also as each luminary came to the stage, it was really the first time that I didn’t see them as individuals: as representing Dr. Weil's ideas or Dr. Oz's ideas – or the Cleveland Clinic’s or Mayo Clinic’s – or the US or German perspective. I realized that we were all on the same strong team, and the entire audience was as well. These top wellness experts didn’t ‘lead’ the audience, they were representatives of the audience - where everyone's input is helpful and equal. What if there was a way to think more positively, be more productive at work and build stronger relationships? Enhancing your wellbeing could be the key. Wellbeing is a measure of how you feel you’re doing mentally, physically and spiritually. Research shows that wellbeing boosts creativity, collaboration and contributes to a culture that helps people thrive. It also boosts productivity and is directly tied to a highly-engaged and high-performing workforce. Business and health care leaders are moving toward this holistic approach to address mental health, emotional connection and opportunities to thrive. Communities, businesses and policymakers are also seeing the benefits and getting on board the movement. Strengthening your wellbeing takes work — fortunately, there are organizations that are here to help. Two nonprofit, regional health plans are helping people fight stress, improve relationships, manage mental health and access the tools to stay healthy. In Minnesota, HealthPartners is working to change the way people think. Emotional resilience helps you combat stress and bounce back after a difficult event, but it takes practice. An eight-week, online program, Beating the Blues helps participants build skills that lead to healthier thinking — offering tips on how to identify negative thoughts and replace them with positive feelings and behaviors. The program is FREE for HealthPartners members and patients. Of the more than 5,000 people who have taken the course, more than 90 percent found the program to be helpful in their work and personal lives. Through their WELLfluent campaign, Florida-based AvMed is helping people focus on the things that matter most — health, happiness, and a balance of mind, body and soul. AvMed fosters access to diverse and personalized programs to help all community members achieve a balanced life. This includes supporting activities like bike shares, road races and programs to get kids moving; social connections, entertainment and learning opportunities for seniors; rewards for healthy behavior; access to care management programs for health support; and through a mobile pantry, healthy food options in areas that need them most. While we often put physical health first, diet and exercise alone aren’t enough to strengthen our total wellbeing. All the elements of wellbeing work together to help you realize your full potential. By going beyond just the physical, strengthening your wellbeing could help you lead a healthier and happier life. Probiotics – Are the Health Benefits Real or Hype? Most people do not realize the importance of gut health. However, when you learn that 80 percent of our immune system relies on our gut health, then we can put the importance of gut health into perspective. As an example, if you catch a cold very easily or have bouts of tummy aches with diarrhea, have consistent eczema, psoriasis, or irritable bowel syndrome (IBS), you may really benefit from taking a daily probiotic. Learning which probiotic is best for you is important, as is understanding the important ingredients to look for in a probiotic due to the number of products on the market. I have provided a list below of what to look for when purchasing a probiotic. Probiotics offer some really good health benefits that many of us should take advantage of to help us boost our immune system. Daily consumption of probiotic supplements or fermented foods allows for balancing good and bad bacteria which helps us digest our food and keep our gut healthy and strong. Fermented foods are probiotic sources that you can eat if you want to avoid the expense associated with taking a daily probiotic supplement. However, the problem with eating fermented foods is most people do not eat enough fermented foods regularly to receive the beneficial gut health protections needed to keep our gut healthy. Fermentation is simply a process used to break down the enzymes in foods to allow for live cultures or organisms to thrive and support our gut flora or bacteria and immune system. If you would like to consume foods that support your gut health without taking a probiotic supplement look for fermented foods with “live” cultures like sauerkraut, pickles, kimchee, pickled vegetables, salsa, miso (only unpasteurized), kombucha tea, kefir, and yogurt with live cultures (that has less than 16 grams of sugar). In order to reap the benefits of fermented foods, you must make certain you carefully read the word “live” cultures or “live” food on the label. Also, you should try to aim to eat a variety fermented foods, so that you can get a variety of different strains to support your gut health and immune system. If all of this sounds way too complicated for you to add to the mix of your life, I hear you. That’s why I like to take a daily probiotic pill to help make certain I am consistently providing my gut with healthy bacteria to support my immune system. Since there are so many probiotics on the market, let’s get straight to what ingredients are needed in a probiotic to make it a worthwhile investment. As mentioned above, consuming a variety of strains is the best option for promoting a healthy gut. A probiotic in a pill form is no different. A great probiotic should contain at least 10 different strains, with the most important ingredients being Lactobacillus Acidophilus, Bifidobacterium Lactis, Bifidobacterium Longum, Bifidobacterium Infantis, Bifidobacterium Bifudum, Lactobacillus Helveticus, Lactobacillus Plantarum, Lactobacillus Bulgaricus, Lactobacillus Rhamnosus, Streptococcus Thermophilus, and Enterococcus Faecium. When shopping for a probiotic, you will most likely find them in a health food store in the refrigerated section due to the live cultures which need to be kept cool. However, there are some probiotics that work well that do not require refrigeration. When purchasing a probiotic aim for a formula that allows for a slow or delayed release into your small intestine and one that has 5 to 50 billion microorganisms or cells, which will be clearly presented on the box or bottle. Since live cultures do not live long, make certain you pay attention to the best by date prior to purchasing a probiotic. Finally, make certain you purchase a brand that does not add unnecessary and unhealthy ingredients like food coloring or chemical fillers. I like to purchase vegetarian-based probiotics. If you decide to take a probiotic and also have chronic health conditions, make certain you talk to your doctor. Especially, since supplements are not regulated by the FDA and some supplements can cause adverse reactions with some medications. *Supplements are not regulated by the U.S. Food and Drug Administration (FDA). **If you take medication for chronic conditions, you should consult your doctor prior to taking any supplements. PubMed.gov, Gut Microbiota and Bacterial Translocation in Digestive Surgery: The Impact of Probiotics. https://www.ncbi.nlm.nih.gov/pubmed/28321508, Retrieved on July 17, 2017. PubMed.gov, Probiotics in Digestive Diseases: Focus on Lactobacillus GG.https://www.ncbi.nlm.nih.gov/pubmed/26657927, Retrieved on July 17, 2017.